The Arcadia project has brought to London a program of music and live art events that will take place in the coming year. The program is curated by William Basinski, the founder of the Arcadia studio and performance space which first appeared in New York City in 1989. 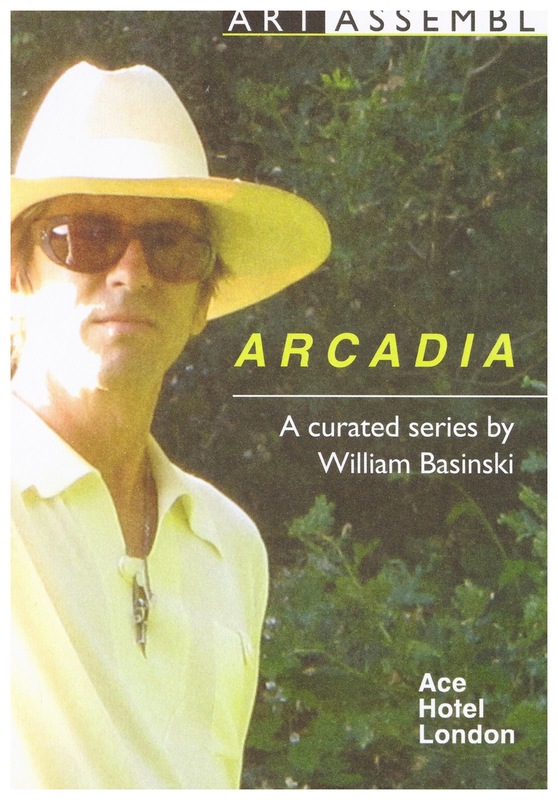 Arcadia quickly became a place where music, cabaret, performance and poetry were all embraced. Basinski’s main focus was to show collaborations between established and emerging talents across a variety of art disciplines. It was this unique approach that made Arcadia the centre of avant-garde art in the 90s. One of the artists taking part in the Arcadia project is the composer, Janek Schaefer. On the 16th of March, the Ace Hotel (Shoreditch, London) hosted Schaefer’s new sound installation Lay-by-Lullaby. The main element of this composition is the sound of cars passing by on a motorway. Ballard, an English novelist, short story writer, and essayist, who wrote an essay ”The Car, The Future” (1971), lived right at the end of this road. Ballard claimed “I think that the 20th century reaches almost its purest expression on the highway. Here we see, all too clearly, the speed and violence of our age, its strange love affair with the machine and, conceivably, with its own death and destruction”. Schaefer brings with his sound installation a real extension to Ballard’s words. Lay-by-Lullaby is full of melodies which are interwoven with many other mostly calm tones. This composition is Janek’s calmest yet. The sound is rich with patterns and textures, from very simple tones to the very complex. The intensity of each sound and its multiple layers intensifies the listener’s sense of drifting. During the performance, this experience was enriched by a simple set of lights that imitate a car’s lights passing by on the highway, flickering at the same time as the sound of the car occurs. Ballard understood that the ecstasy of speed was something that modern society wants to experience. Schaefer compares the speed of car travel on a motorway to the current fast pace of life experienced by most humans. Lay-by-Lullaby brings calmness and a sense of relaxation and take a foot out of the “life gear”. As Janek describes it “the work invites you to take a break, to pull over and daydream as life speeds on by”. Don’t wait. Close your eyes and fade away. “Tired of the daily grind? You want to escape from the boredom of routine? Your desire is to give it a rest? Well, this is the disc for you”. Artist, Musician & Composer Janek Schaefer was born in England to Polish and Canadian parents in 1970. While studying architecture at the Royal College of Art (RCA annual prize), he created ‘Recorded Delivery’ (1995) using a sound activated dictaphone travelling overnight through the Post Office. That work was made for the ‘Self Storage’ exhibition (Time Out critics choice) with one time postman Brian Eno and Artangel. Since then the multiple aspects of sound became his focus, resulting in many site-specific installations, exhibition/dance/short film soundtracks, albums and concerts using his self built record players with manipulated found sound collage. The ‘Tri-phonic Turntable’ (1997) is in the Guinness Book of Records. He has performed, lectured and exhibited widely throughout Europe (Sonar, Tate Modern, Pompidou, CCCB), USACanada, (The Walker, XI, Mutek, Princeton), Japan, and Australia (Sydney Opera House). In 2008 he won The British Composer of the Year Award in Sonic Art and the Paul Hamlyn Award for Composers Prize. The Bluecoat Gallery exhibited a Retrospective of his 20 year career in 2009. Janek is represented by the Agency Gallery, London, with the inaugural show “Collecting Connections” shown in spring 2013. He is a Research Fellow & Visiting Professor at Oxford Brookes Sonic Art Research Unit, and works from the audiOh! Room in Walton-on-Thames, UK.